An innovative and ultra-light formula. 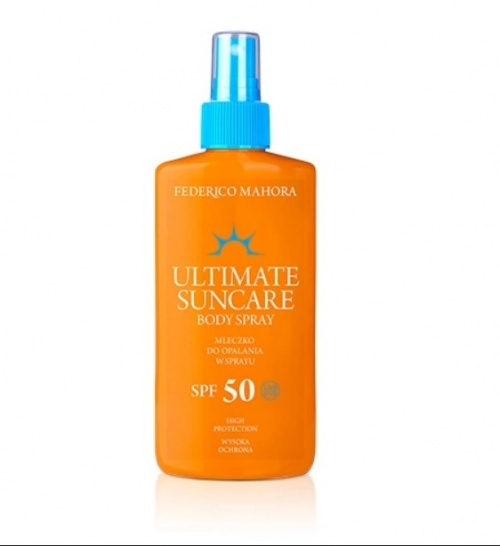 It helps to protect the skin against the harmful effects of sun rays and wonderfully moisturises body. The Spray contains coconut oil which moisturises skin, makes skin firm and reduces risk of skin discoloration . Resistant to water, swimming-pool chlorine and sand. Absorbed quickly and does not leave a sticky film or white stains on the skin.